A new Pew Research Center survey released Tuesday said that just 27 percent of Democrats “sympathize” with Israel over the rival Palestinians. That is a significant nearly 20 point drop in the last few years. 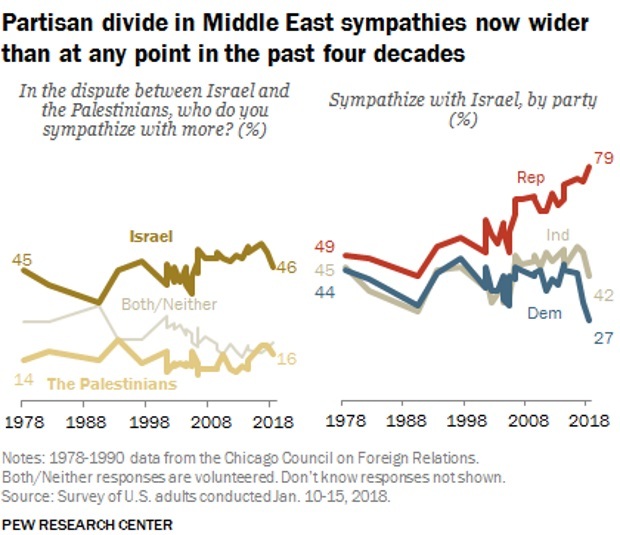 Some 79 percent of Republicans meanwhile favor Israel, nearly double their support from 20 years ago.